This sermon was originally published at the Episcopal Digital Network’s Sermons That Work. Now picture what this looks like, you’ve seen it before. A tree gets chopped down to a stump, and a little shoot starts growing out of it at some point. Most people view this as an unwanted eyesore. These little shoots that grow out of stumps are actually known by the unflattering name of “suckers,” and there are all kinds of remedies on the Internet for how to seal off a stump and prevent it from giving out new shoots of life. Having these ragged little branches growing out of it makes a tree stump look unkempt and messy and homely. Israel’s enemies had tried every way they knew to seal off the stump of Jesse that was the root of the throne of David. 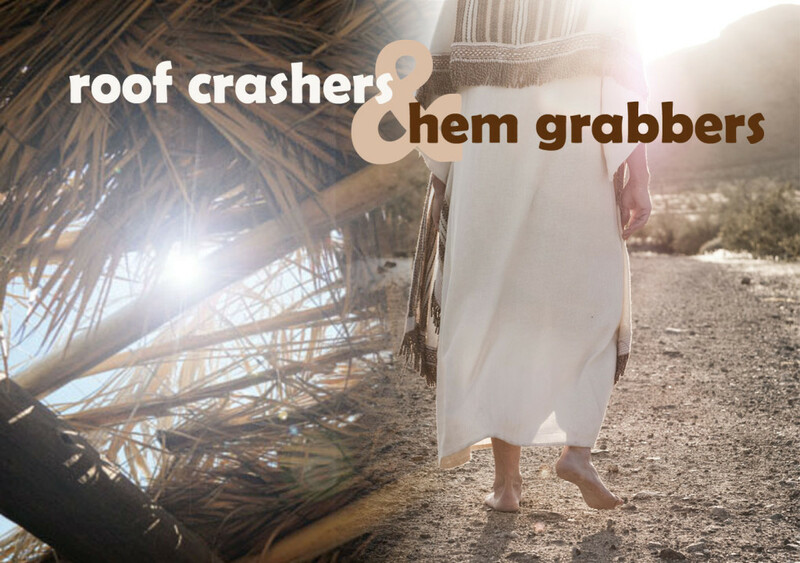 War, slavery, imprisonment, starvation – Jesus’ ancestors suffered all this and more. There had not been a viable king on the throne of Israel for generations. And yet, somehow, there is still life stirring in this burnt-out old stump. Now, in the season of Advent, is when we see the little tiny shoot begin to sprout. It is so fragile! One wrong move and it could die. Too much water, too little water, the wrong amount of sunlight or wind, even a tiny bug could come along and destroy it, and it is totally defenseless. When you think about it, it is an odd image to use to describe Jesus. He’s the new King of Israel, and he is described as a fragile branch growing out of an unsightly old stump. Not a very triumphant or powerful image. But that’s what Advent is all about. It is about coming to terms with the profound knowledge that God chose to come to Earth in such a vulnerable state: a defenseless human baby. Neither a baby nor a wee branch growing out of stump is going to last long against any enemies. But that is also part of reorienting our mindset during Advent. That is what lies behind the courage to let Jesus be born as a helpless baby, the little shoot out of the stump that could be cut down at any moment: The knowledge that we have entered a new era of peace. Peace and wholeness, the Kingdom of God, have arrived. We are in a safe place. It is safe to be vulnerable, to reach out, to stretch out and grow. The interesting thing about branches on trees is that they grow right on the edge. Very little of the growth of a tree happens internally, down in the trunk. New cells are produced right at the very edge and build outward, fragile but brave. What are the edges of your life that need your attention to really start growing? What are the parts of you that feel unfinished and vulnerable, that you are afraid to let out into the light? We must internalize the message of the angels of peace, we must hear and respond to the command “Be not afraid” in order to let that new growth within ourselves have half a fighting chance. It feels strange to be talking about the fragile budding growth of new tree branches when we’ve just now really settled down into winter. But that is an important sign as well. The new life and new growth that Jesus brings do not always arrive in the obvious places. We need to look for birth and growth within ourselves and our neighbors in the cold, forgotten, frosty and inhospitable places as well. And the storms that we experience are important also to our new growth. Back in the ’90s you may recall there was a project called Biodome, an effort to create a totally self-contained biological environment, a mini-Earth sealed away from the outside world. Some of it was successful, but one of the most baffling disappointments was the trees. They had the sunlight and water and nutrients they needed, but as they grew, they couldn’t stand up straight. They flopped over on the ground, weak and limp. The scientists finally realized one vital ingredient of the outside world they had forgotten: wind. In nature, the wind blows and causes tiny microcracks in the trunk and branches of trees. Trees rely on this trauma for their growth. Standing straight to the wind, breaking a little but rebuilding at the same time, is what helps them grow stronger. Did you ever think that you might need the fierce storms of your life? That they might be as pivotal to your growth as the good days of sunshine? Because John the Baptist does descend like a furious storm in our gospel today. He arrives with locusts and vipers and axes and fire. How does his warlike message of the wrath to come square with the promised peace of the wolf lying down with the lamb? Remember the image of the shoot growing up out of the stump? Take a step back and consider how that environment was created. A tree had to be chopped down to a stump in order for the new shoot to grow up out of it. He is the very personification of that message. He has arrived to shock us out of our complacency, to call us to chop down and root out all the old habits of greed and shame and selfishness that have grown up in our souls. Advent is the beginning of the new church year, and it is time to begin with a fresh slate. All the old condemnations of ourselves and others are to be chopped down and thrown away, making room for the new shoot of Jesse to grow up within us. That is how we prepare the way of the Lord. John the Baptist is not preaching a message of condemnation, but rather one of liberation, of freedom from the thick, choking overgrowth of sin that has trapped us in misery and hopelessness. And for all the ferocious strength of his message, which we must take seriously to heart, what action does John the Baptist take? From what act does he take his name? Baptizing. Even as he pours down the fire of his words, he also pours out the gentle stream of water on the heads of the inquirers and seekers at the River Jordan, blessing them with the cleansing stream that foretells the Living Water. He waters the potential of the believers, that a new shoot of life might have the chance to blossom and grow. So too is the season of Advent our own opportunity to test the edge of the waters of Jordan, gathering our courage to let the Holy Spirit of baptism – with the fierce fire that burns away the brambles of sin and the gentle water that nurtures the fragile growth of new life – once again cleanse our souls as we prepare for the Christ child. In the season of Advent, the season of expectation and possibility, the spirit of the coming Christ is looking for fertile ground in which to grow up, a new shoot out of the old stump. We can make ourselves that dwelling place, made glorious and new by Christ’s presence. Let us dedicate ourselves to hosting the coming Christ within us, and we will find ourselves manifesting grace in completely new ways that we never expected, newborn shoots of life growing up to bear good fruit. Let’s be like Jesus, and branch out.